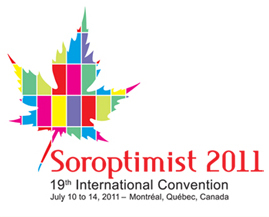 Soroptimist International is a worldwide organisation for women in management and professions, working through service projects to advance human rights and the status of women. Club Antwerpen is the first club in Belgium and celebrated on April 16th, 2005 its 75th anniversary with a congress on " Women in society". Club Antwerpen has some 60 members all representing a different profession. Theme: "UNITY OF PURPOSE; DIVERSITY IN ACTION"